On Wednesday, February 8th, 2017 our monthly meeting featured Horticulture Agent, Dan Goldhamer speaking about Japanese Beetles. (This meeting drew the largest crowd we’ve ever seen at our FANS meetings.) Mr. Goldhamer provided an informative and interesting presentation on the increasing challenges these pests are creating and mitigation efforts that are available. While we are unable to publish his slides we are offering the following information for those unable to attend. 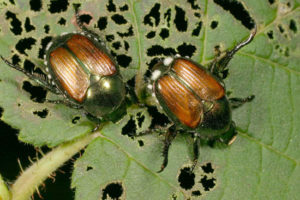 It can be found on University of Minnesota Extension Service article about Japanese beetle management in Minnesota.